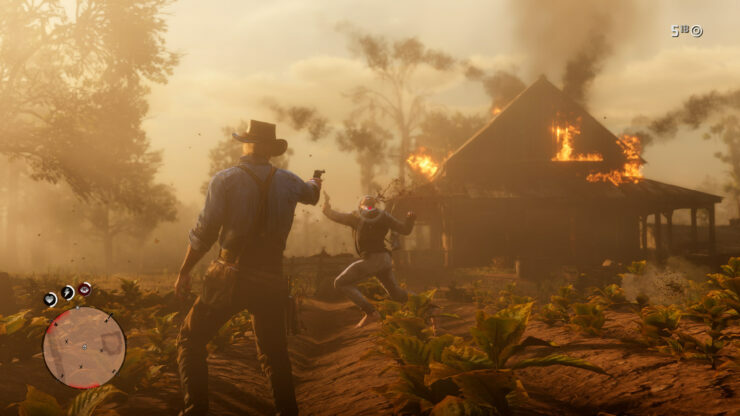 Red Dead Redemption 2 will allow players see and do a lot of things, but, of course, good old-fashioned gunslinging will remain one of the game’s core activities. 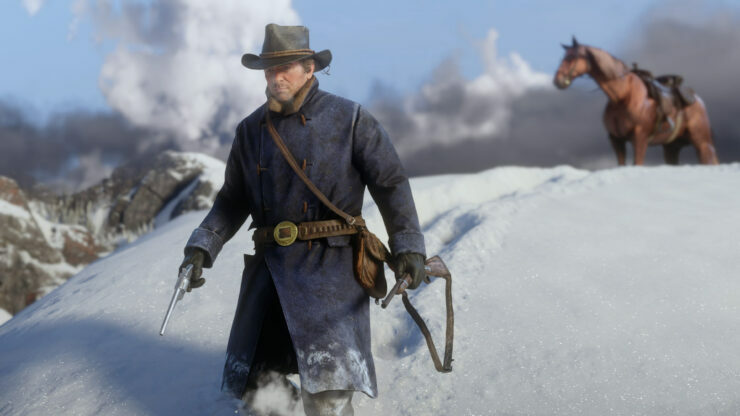 The game will let players wield a variety of weapons, from pistols, to rifles, to sawed-off shotguns, all of which can be fully customized – upgrade your gun’s performance with new barrels, grips, sights and scopes, and tweak how they look with new metals, woods, varnishes and engravings. 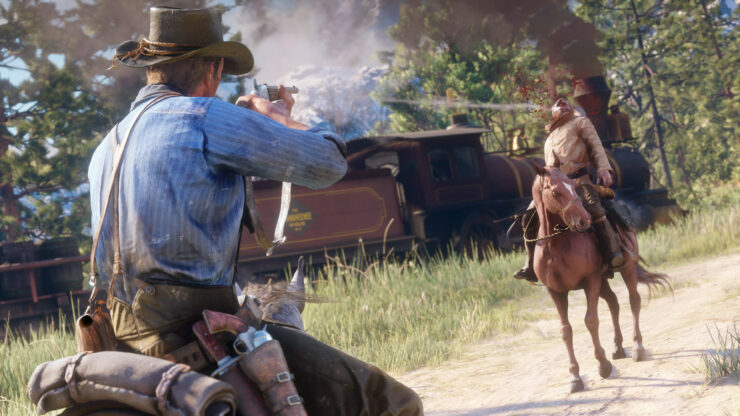 There are also a variety of ammo types suited to different situations. 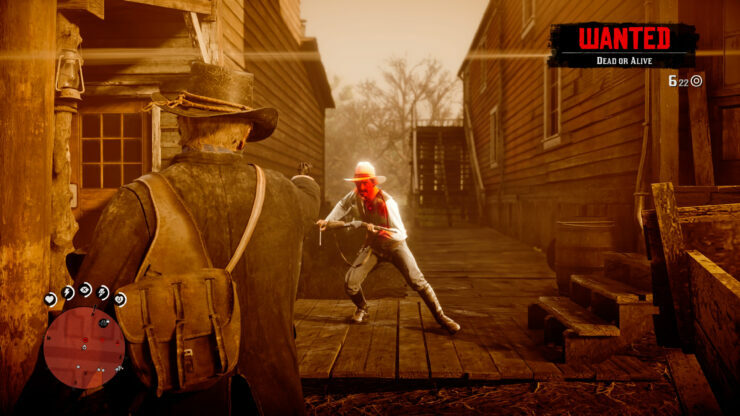 As we previously detailed, the Dead-Eye targeting system has also been upgraded. It now has five levels, and once you hit level three, you’ll be able to target specific organs and weak points. You can also dismember and decapitate enemies with some of the game’s more powerful weapons. 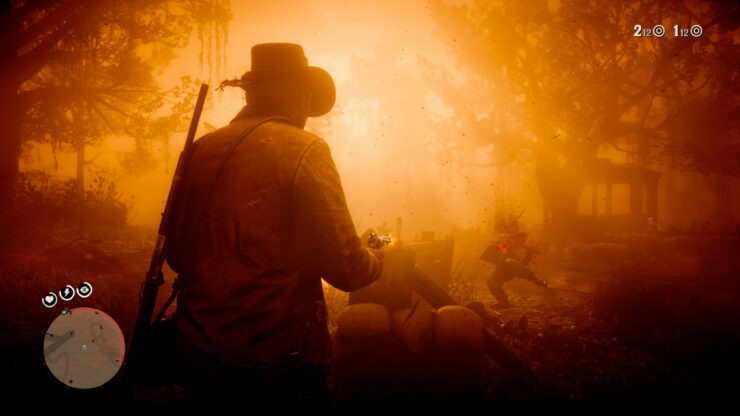 Check out some violent new Red Dead Redemption 2 screens below (click on the images for full resolution). 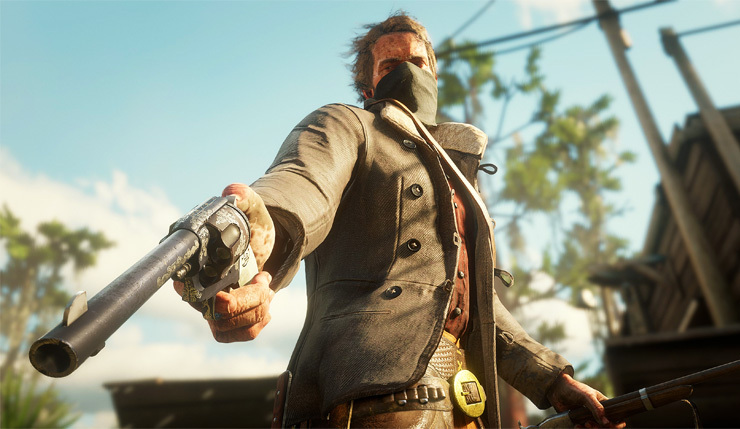 Ranchers, lawmen, cattlemen, and cattle rustlers alike swear an oath to this majestic revolver. It has saved many a skin and shed a few tears throughout the years. We believe you will agree there is no more iconic well-known revolver on the market today. A side-arm for many years in the US Army, it is manufactured at a factory in Worchester, Mass. 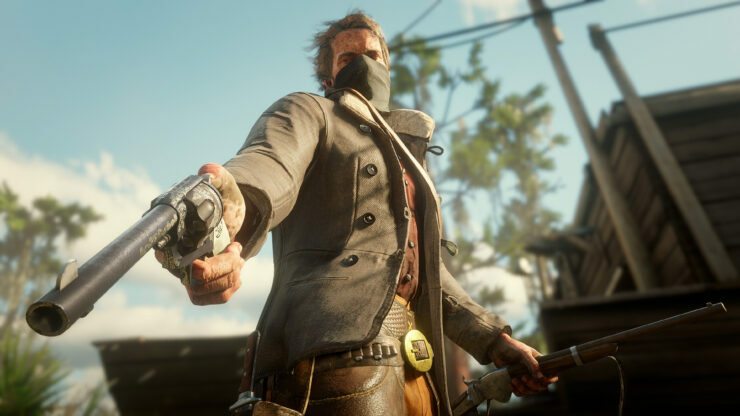 It is made by skilled laborers who work tireless hours each week and on the weekends for little pay in order to bring you the finest revolver in the field today. This pistol is the finest creation from Hutton & Baird. It is one of the strongest pistols ever produced. Hold it to your ear when firing and see. Choose your ammunition wisely. All shrewd and smart governments have begun to use finely manufactured full metal patched bullets in war, the benefit being that they will not shatter or tear the bones of a man when he is hit. Rather, they disable the man, leaving him after wartime to tell all that will listen far and near the folly of making enemies with an original descendant of the 13 colonies. The perfect breech-loading rifle. No matter where you and your kin stood during the War of Northern Aggression or the War for Southern Independence, most will agree the greatest outcome of the engagement was the conversion of rifled muskets to the ease and convenience of the breech-loaded Springfield Rifle. Rifled muskets fire only 2 – 3 times per minute, where a breech-loading rifle can be fired up to 23 times per minute, a significant determining factor when it comes to disbanding bands of traitors or bringing them around to your side. The Sawed-Off Shotgun by Peeters & Janssens provides perfect satisfaction. Over the years, many have indicated that the long handsome wooden stock is a shame to cut through and throw away when fashioning a weapon that can be easily concealed under a trench coat for an evening dinner, card game, or impromptu departure of a colleague from the local magistrate. So, the manufacturing outfit of Peeters & Janssens set out to make a lightweight shotgun that is easy to use and conceal as many situations in modern times require. This is the latest up-to-date creation from the Litchfield Arms Company. 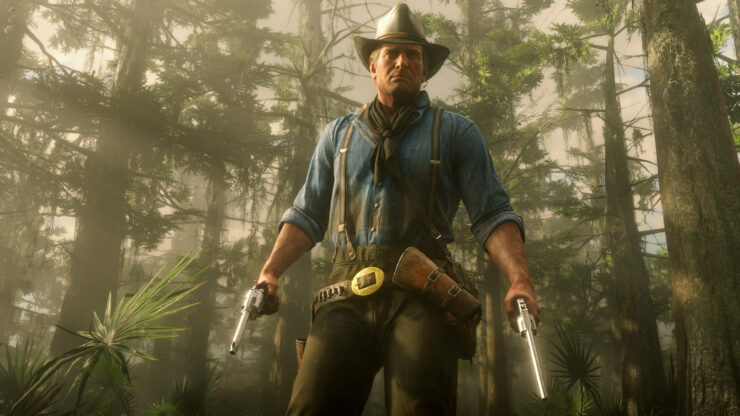 It is sleek and solid, and made on the same principle of the previous model, which is to protect man and mare on the frontier against those who ignore the teachings of the Good Book to their ultimate peril. Its rapid rate of fire is a joy to behold and infirmed who enjoy the ability to possess the firepower of a dozen muzzle-loading muskets. 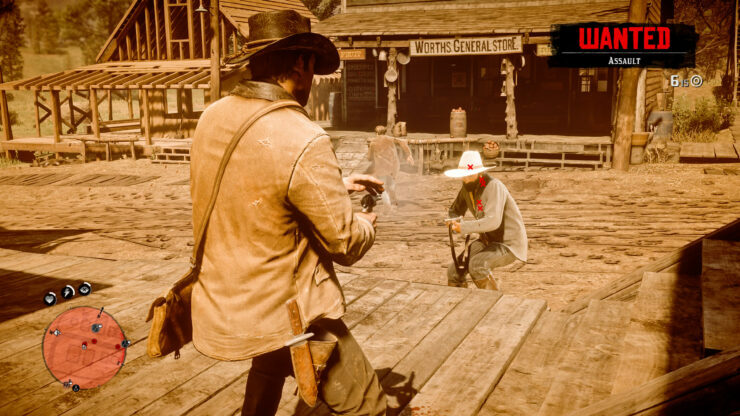 Utilizing a .44 caliber centerfire metallic cartridge, there is no more accurate and reliable repeating rifle available from any outfitter at this price.